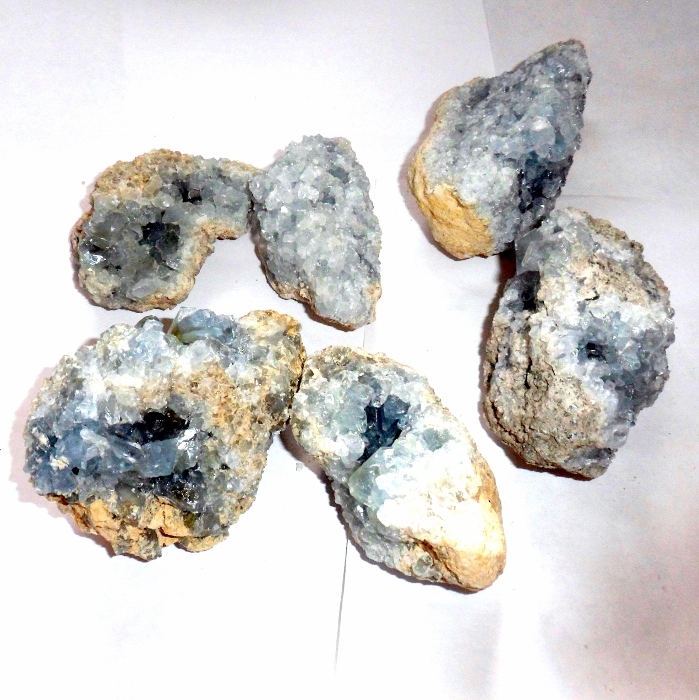 Natural blue natural celestite cluster specimens. Celestite is a New Age stone that has a peaceful, serene, gentle energy. 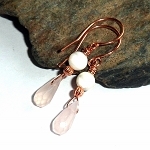 It is a calming stone that helps facilitate communication between higher realms, particularly guardian angels and angelic guides. Physically, celestite is used to treat disorders of the eyes, ears, and throat, and it dissolves pain. According to Greek mythology celestite comes from a cluster of stars known as Pleiades, or The Seven Sisters, and this is a reason it possesses qualities of the heavens and angels. The Pleiades were seven sisters, Maia, Electra, Alcyone, Taygete, Asterope, Celaeno, and Merope. Their parents were Atlas, a Titan who held up the sky, and the Pleione, the protectress of sailing. After a chance meeting with the hunter Orion, the Pleiades became the object of his pursuit. Enamored with the young virgins he pursued them over the face of the Earth. In pity for their plight, Zeus changed the sisters into a flock of doves, which he set in the heavens. There these seven sisters formed the star cluster known as the Pleiades. Only six stars are distinctly visible to the naked eye. Merope, one of the sisters, deserted her sisters in shame after having taken a mortal husband. 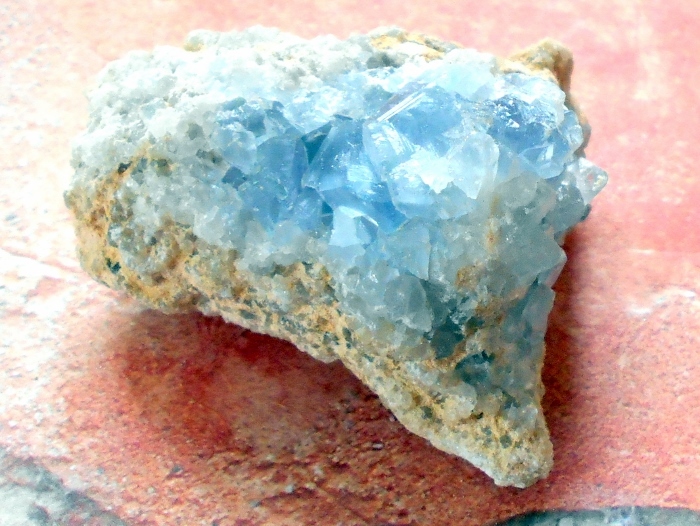 According to another myth celestite was created originally by the music of angels singing in celestial choirs. Celestite is thought to help access the angelic realms through communication with the stone. 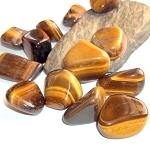 It is also said that the stone can tell stories and share knowledge or angelic realms to those who listen and communicate though it. Celestite, also known as Celestine, is best recognized as a sky blue colored crystal often found in clusters. The name Celestite is derived from the Latin word caelestisÂ which means celestialÂ or heavenly.Â The ideal placement for celestite is in the bedroom or your meditation space. Place a piece of celestite next to your bed and it will help you remember dreams and other astral experiences more vividly. Celestite is also said to help those who fear heights. It can help you find your spirit guide and develop the gift of prophecy, clairvoyance and psychic abilities. Celestite can be used to help a rescued animal trust humans again or help an injured animal to recover its strength. These are specially priced because I bought a huge case of them at a great price and you are getting a randomly chosen stone from the case. 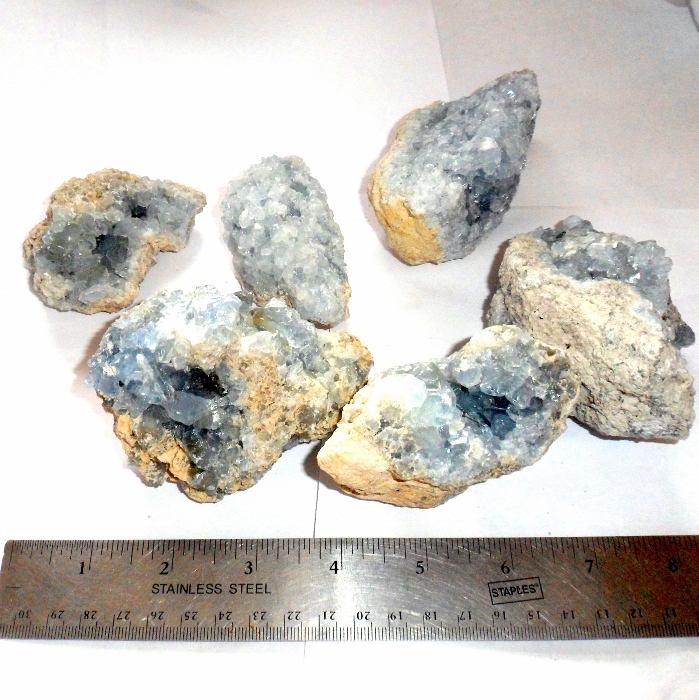 They run around 2 to 3 1/2 inches each and the photos only show a few of the 57+ stones I received. 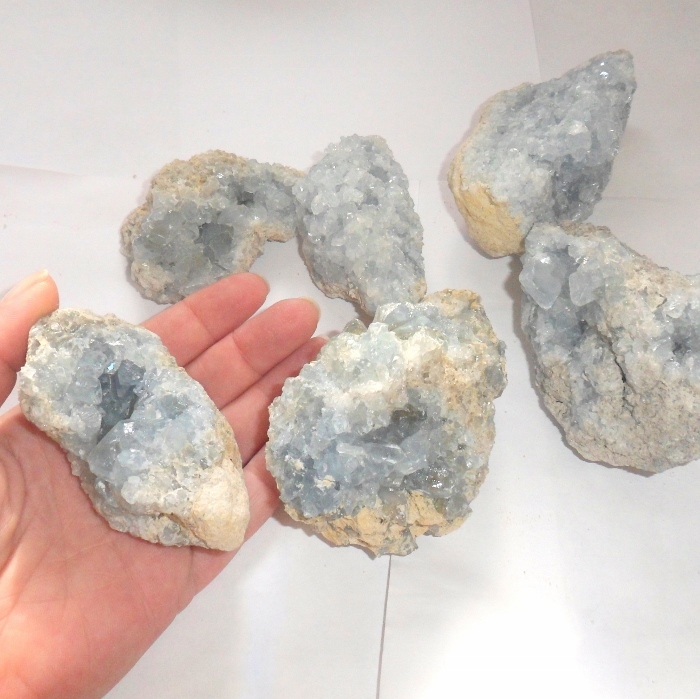 Price is for one celestite cluster. These clusters were mined in Madagascar.